GM George McPhee recently made a comment that has many feeling like a trade is imminent. But for those hoping he’ll find that forward, or even those still holding out hope for an Erik Karlsson trade, don’t bother until the year begins because August and September mega-trades simply aren’t in McPhee’s nature. Since McPhee started his general managing career in 1997, he’s made six trades from the period of August 15th to opening night. All six transactions were minor with the exception of one. It’s not just McPhee, plenty of moves are made from now until opening night, but not many are significant. In fact, since 1997 there were 123 trades during that window. Only two could be considered significant. So don’t expect the Golden Knights to pull off a blockbuster trade any time soon. Could the current climate in Ottawa change the preseason’s transaction activity? Sure, but based on the past 20 season it seems very unlikely. Especially going off of McPhee’s history. In 18 seasons at the helm, the GM only made a handful of moves from the middle of August to opening night, and most were depth additions. Asking any general manager to pull off a franchise-altering move before October is a tall order. As much as it would make them better, adding Karlsson before the Golden Knights season begins is not likely to happen. However, rumors with Ottawa will be floating all season, so expect McPhee to show interest later in the season. Or not at all. There’s always free agency. Time To Start Considering The Possibility Of Shea Theodore Missing Camp, Or Even Games? Some big IFs here, but IF a trade for Karlsson happens at the trade deadline it should hopefully involve fewer assets at this point since Ottawa’s leverage is slowly declining (though there will potentially be more demand, especially from teams who weren’t in on him in the offseason but might be as a playoff rental if they’re in the hunt). 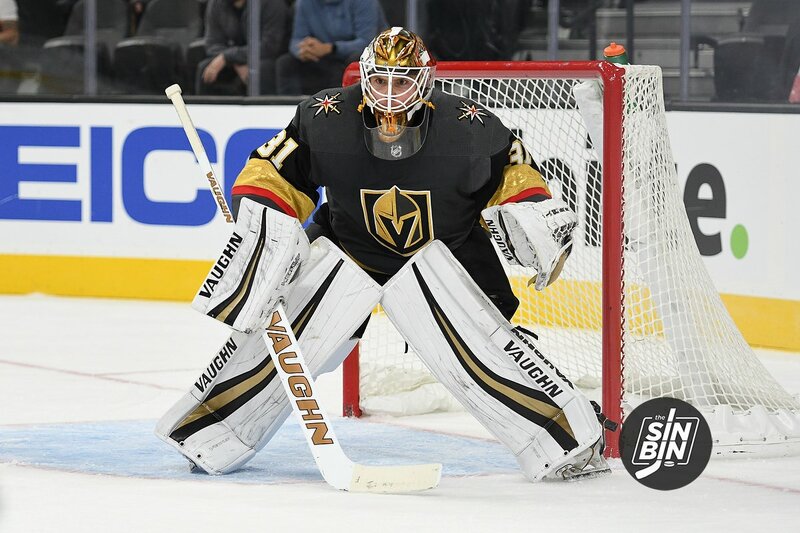 And IF VGK don’t get him as a playoff rental hopefully they’d still be in the hunt to get him as a FA next offseason. I was never on board with dealing Glass as far of a package for him. Second-tier prospects and/or picks, sure — but I felt like our First Four picks from 2017 should more or less be untouchable and apparently GMGM feels the same way. Those prospects are going to be invaluable if VGK is going to be a perennial playoff contender for the next decade. They need to build up the farm system to have a base of guys contributing who are on their initial contracts so they can afford to spend $10M a year on a guy like Karlsson and even hopefully in 2023 on a guy like Glass. I’d be over the moon if Glass has to be paid $10M a year after his entry-level contract is up. I would not agree that our 2017 First Round Picks should be untouchable, but they should be considered very valuable and demand a hell of a return to pry them loose. Vegas is in a great position now, with some very good prospects who are 1-2 seasons away, plus a ton of picks to work with over the next two years. And a team playing a style other teams are struggling to respond to. But the issue is that in fact the Vegas squad is not as talented as most squads in the league. They made up for it by playing a fast aggressive style that most teams could not keep up with. But this is one more year, another year of film to dissect, teams taking a long look at how Washington managed to get Vegas out of its game, and so more teams will have their own ideas on how to slow down the Knights. If other teams have any success in slowing down the attack it will require greater talent from Vegas to keep it successful. Keeping the squad with relatively few changes will likely mean regression this year and future years. The team needs to increase the talent level, especially top end talent, to keep the success going. Richard– if it were GMRE, couple questions. Would you consider Erik Karlsson top tier talent? And would you give up Cody Glass, among other thing, for his services?